Whether you have your own blog or maintain several affiliate marketing websites, there is a certain amount of distinctiveness and brand identity that should be conveyed through the template. Your website may not currently have many modifications in its coding, save for a few needed plug-ins. While there are some successful affiliate websites in existence that use a cookie-cutter template, there are many, many more that have utilized various customized WordPress themes. Many people have assumed that any additional flare or aesthetic appeal cannot be created if they do not have a prior knowledge of coding. The truth is that there are many different modifications that you can make to any WordPress theme in just a few short minutes. We will discuss a few of these in the following article. Even if you do not have extensive knowledge in coding or other elements of advanced website maintenance, you can make quick and easy alterations in almost any WordPress theme through your site’s dashboard. Via the Appearance tab on the left-hand side, you will find sections such as Theme Options, Customize and Background. 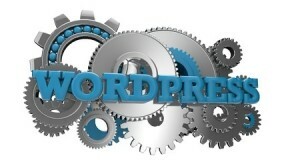 All of these areas have customization options that allow you to make significant or subtle changes to any WordPress theme. In many cases, a well-designed standard WordPress theme can be completely revitalized through some simple alterations in how various colours complement and connect with one another. Pinging your website or blog to search engines may bring people to your site once or twice, but a well-designed colour scheme will further encourage them subconsciously to return in the future. In many cases, the standard fonts in a WordPress theme may not be the most ideal font that conveys your site’s message. All too many times, a great WordPress theme is ruined by an otherwise inferior font set that is too compacted or too illegible. Fortunately, you can quickly experiment with custom fonts that take very little time to install and configure. Not only are there several WordPress plugins that deal with custom font configuration, but there are also independent sources such as Google Web Fonts to consider. A big advantage of web-based fonts (most custom fonts are web-based) is that their display is both guaranteed and uniform across all browsers. This is an easy enough trick that anyone can do to accentuate both their content and their websites: add more pictures and video to the experience. Not only will search engines be pinging your website more often when interactive or multimedia content is added on a consistent basis, but your readers and viewers will appreciate having more than one form of information through which they can engage with your brand. There are many different modules that can be used to feature these forms of multimedia. You will also create more inbound links through a variety of platforms such as YouTube, Twitter, Facebook and Pinterest, depending on the types of content you curate. Anyone who is willing to spend a few minutes inside their WordPress site’s dashboard can quickly liven up their WordPress theme. In order to stick out a bit from the crowd, consider the usage of custom fonts, alter your colour schemes and incorporate multimedia into your layout via modules.